Not to be outdone by Nancy Corbett last year, Howard Kaplan fronted up to the mic at the 2017 Launceston Poetry Cup. 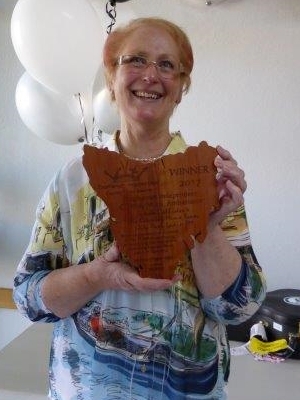 The Cup is the signature event for the Tasmanian Poetry Festival and an one minute poem that garners the most applause wins. Howard confesses he is not really a poet … perhaps only ever writing one other poem for his daughter. What is the meaning of life, why am I here ? I need an answer, loud and clear !! Is it to chase another dollar or two ? Will my inner voice tell me what to do ? There’s lots of possibilities, (pause), I know !! I’ll be a presenter on City Park Radio !! Why not share it with Laun-ces-ten ? To start your day off nice and easy. To me every Thursday at 6 on 96.5 !! 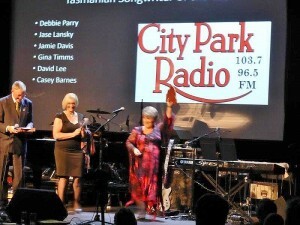 The recent Tasmanian Independent Country Music Awards saw City Park Radio honoured. Linda Callister and the Country Music Team received The Ambassador Award sponsored by Michelle O’Byrne MHA for promoting and Showcasing the Awards and supporting Country Music Artists in Tasmania….. primarily through their programs Country Muster (9am Sat) and Australian Country (8pm Wed). 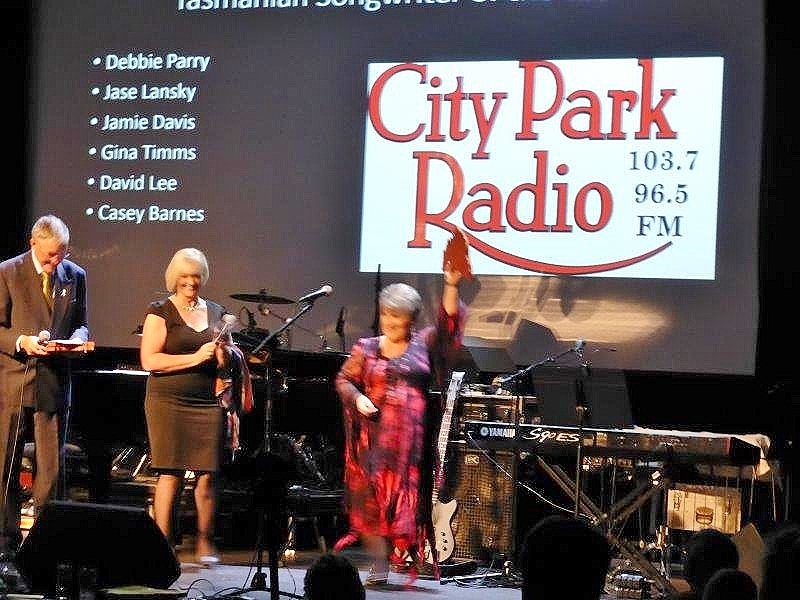 The City Park Radio sponsored TICMA for Tasmanian Song Writing went to Debbie Parry for writing 59 songs in one year and 12 albums. 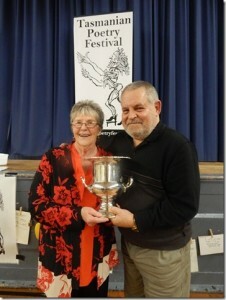 The song that clinched the award was “I’ll Be Home Soon”, a duet with Dean Richardson. 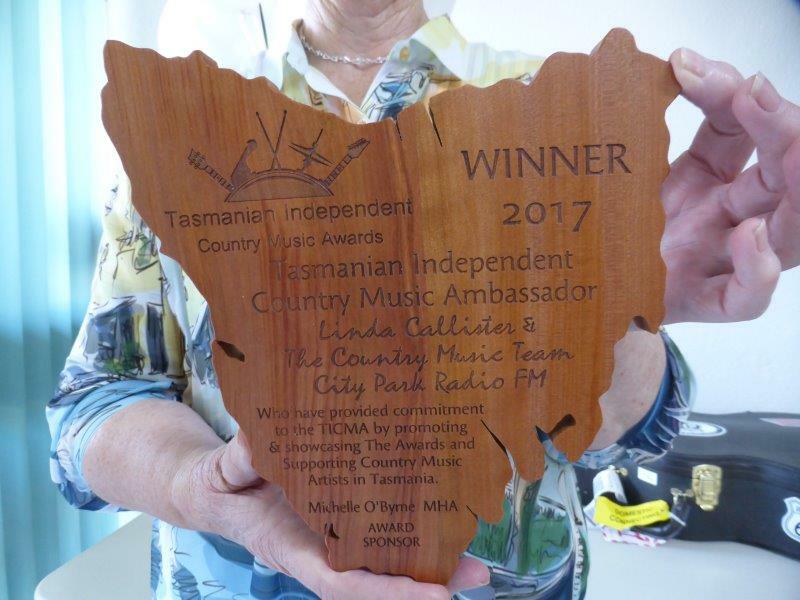 City Park Radio will also receive a special Thank You Award in appreciation for our support of the event and country music in Tasmania. The Spanish Multicultural Program with Elena Chagoya is a candidate for Women’s Presenter of the Year. Elena is the only finalist from Tasmania to be included in any category. 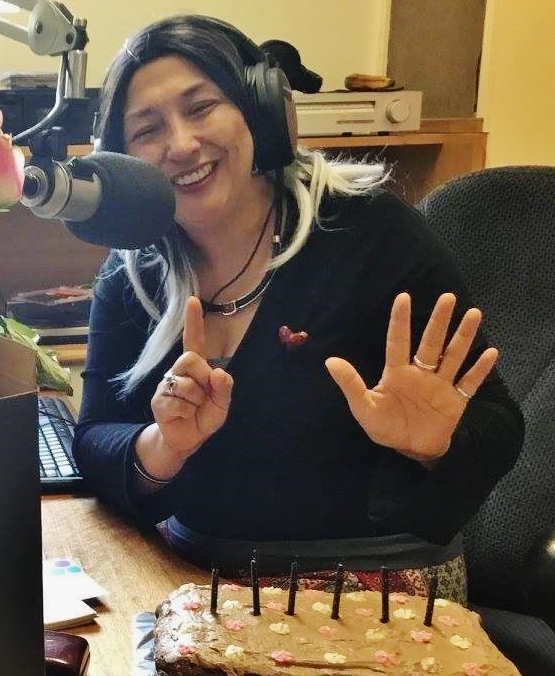 Elena has been presenting the Spanish program for over six years with City Park Radio in various timeslots…. 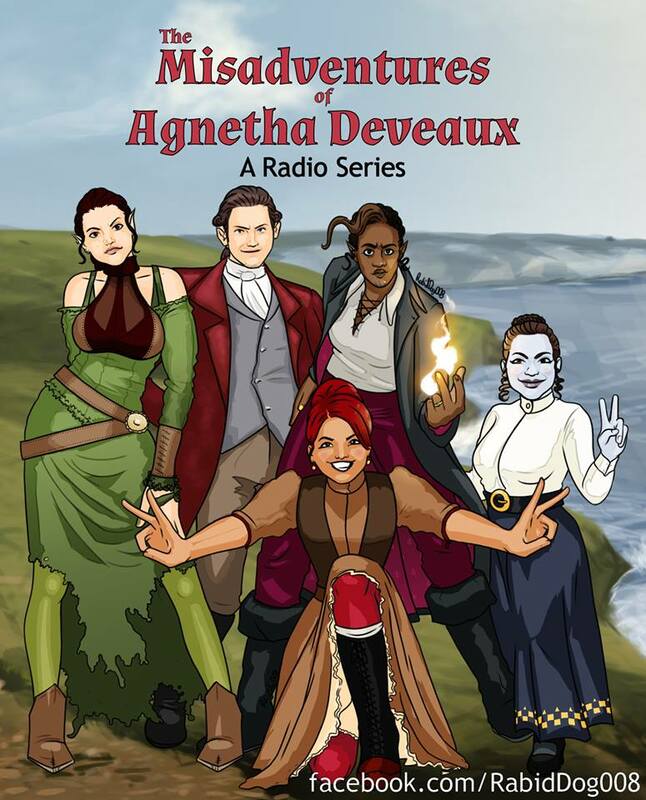 currently heard on the 2nd Monday at 8pm and 3rd Saturday at 1pm each month. City Park Radio wishes Elena the best of luck. The awards are announced 25 November. Shirley needs more good gifts to go into the basket—there is a list of suggestions at the station. So this is the time size really matters. Sheila Hoban has been appointed secretary and so creating an ordinary committee position available to the next AGM. It is a good opportunity to be involved in the running of the station. Please lodge your expression of interest with the Secretary by 17 November— or for more information call President Craig Ellis. Mondays 4.04pm a new series replacing the History Show … Over the next three months, The Good Life interviews a range of interesting Australians including Tim Costello and Carl Vine. Sunday 12 November 2pm… David Mohr brings you the colour and cycling excitement of the Stan Siekja Classics. This annual event sees the cream of Australian Cycling “race” around Launceston’s City Park. The term “supergroup” is one normally associated with bands from overseas – Cream and Emerson, Lake & Palmer being good examples. But in 1969 it was coined for a new Australian band – Axiom. Axiom evolved from the dissolution of two bands – both winners of Hoadley’s Battle of the Bands – The Twilights and The Groop. As winners, both bands were able to travel to England and record there. 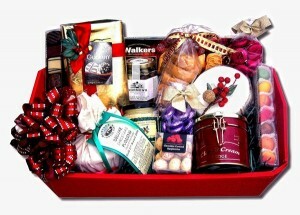 This gave key members an ambition to develop their craft. So Brian Cadd and Don Mudie from The Groop, joined Glenn Shorrock from the Twilights, Chris Stockley from Cam Pact, and Doug Lavery from the Valentines to form Axiom. They had immediate success with Arkansas Grass and A Little Ray of Sunshine, followed by their debut album in 1970, Fool’s Gold. One of the first true “albums” in Australian music, Fool’s Gold contained songs that used Australian place names and the Australian landscape, even didgeridoo – quite revolutionary! All the songs were of high quality and though self-produced, the production values were exceptional. Unfortunately, just as the album was released, Axiom returned to England to seek success so weren’t around to promote the album. This led to disappointing sales, despite its quality. 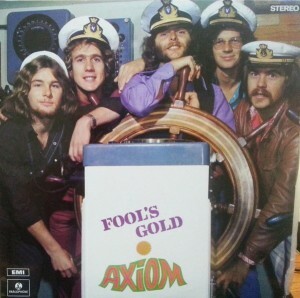 Axiom broke up soon after, leaving Fool’s Gold as a shining legacy to their superb musicianship. Putting more sizzle in the sausage and more ice on the drinks…. we’ll leave the sauce to you. Another great way to meet the volunteers who help keep your community station on air. The Misadventures of Agnetha Deveaux. This is another local production from the studios of City Park Radio. Royce Gale is the writer and producer of this series of 6 episodes…. and it has been fun having the cast recording in Studio D.
Post production should be completed soon …. watch the December newsletter for broadcast times.